Will My Roof Leak with One Missing Roof Shingle? Is your roof missing a shingle? This is a common problem that can occur for any number of reasons. A missing shingle might cause your roof to leak, but not always. However, a missing shingle requires quick attention for the overall health of your roof. Even if a leak isn’t occurring currently, one missing shingle will put you at risk. 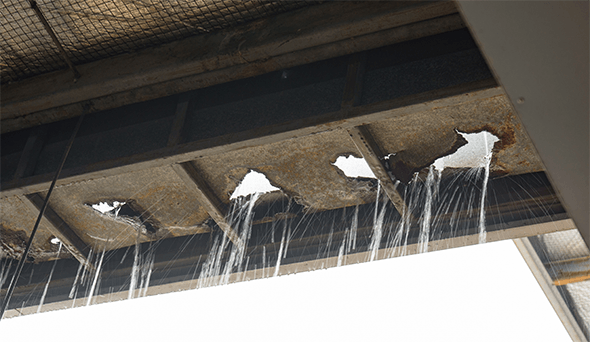 If your felt flaps up or rips through the staples in your roof, or if weather such as wind-driven rain gets underneath the felt, the felt can suffer damage. Damaged felt is not a durable material in comparison to a shingle. Have you discovered a missing shingle? Now is the time to take action. 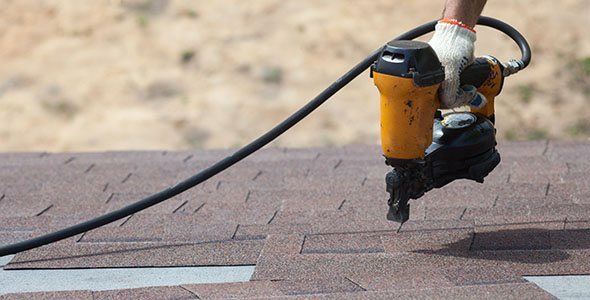 First, you’ll need to replace the shingle, which requires the same style and type of the shingle you’re currently using. For example, you shouldn’t replace an architectural shingle with a 3-tab shingle for proper protection. You’ll also want to pay attention to the shingles around the lost shingle. Check for tears, loose shingles or large holes. Also, take note of any rot issues you find. This type of damage will require a professional to fix or replace your roof. You should also take this time to check the rest of your roof for other shingles that could use replacement. Look for visual cues of loose shingles, such as those that are crooked or lower than the others. Try lifting those up—but not too hard! The adhesive underneath should stay intact. There usually is a reason for a shingle to be loose or missing. Sometimes this can be a sign of rotting sheathing (nails don’t stay secured in rotting wood) or incorrect nailing patterns from the time of installation (nails to close to borders, outside of the manufactures required nailing zones are more prone to pull through the shingle.) Unfortunately, if one section of a roof has issues that are rooted in poor installation, you can expect other sections to eventually experience the same failure. If you find that your roof is leaking, you’ll want to place a tarp on your roof to protect it. Do not caulk it or use tar. These are unsightly and temporary solutions. Re-shingling is the more correct solution. Instead, call a professional roofer. Do You Have a Missing Shingle? Try Calling a Professional. If you find a leak in your roof or have difficulty completing the steps above safely, it’s best to call a professional. Roof leaks can cause mold problems and damage to the structure of your home if not solved properly. 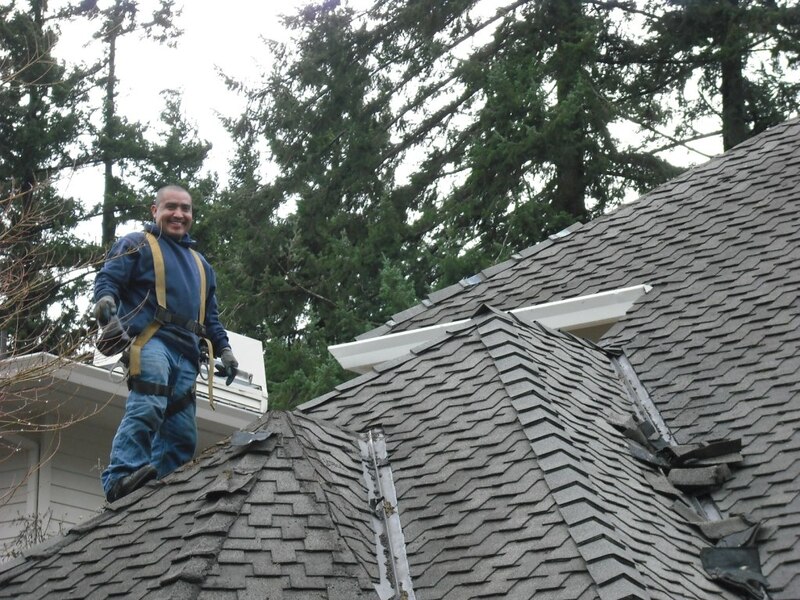 To get help fixing your roof in the Portland, OR, area, give us a call at 503-570-7663 or contact us online today.